There’s still a smidgen of time left to order a Christmas present for that lovable dork in your life! 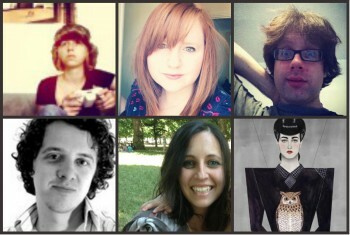 Here’s a few suggestions from us at Dork Adore. Have you got someone in the family who’s as addicted to Vampire shows as we are at Dork Adore? I think I’ve found the best gift to keep them happy and quiet. 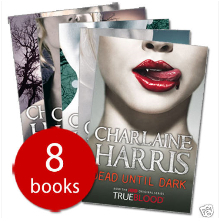 Browsing Ebay, I came across this set of True Blood books for £16.99. They’ll be able to get ahead on the story, and sit through series 2 smug in the knowledge that they already know what’s going to happen. Head over to Argos and you’ll find some great console package deals to keep everyone happy. Don’t have a Wii yet? Argos are offering a package deal for £169.99 including the Wii console, Wii Sports game and Wii Sports Resort, along with a bunch of accessories, Big Beach sports game and docking station for free. Save yourself a bit of time by nailing your Christmas food shop and present shop in one at Tesco. 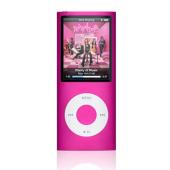 They’ve got this iPod Nano, the brand new version with a built in video camera and FM radio, for just £114.97. That will give you enough change out of £150 for a set of speakers like the ones we featured in our Stocking Filler post recently. The Make Lounge is a studio that offers workshops on everything from cupcake decorating to creating your own jewellery. They’re offering vouchers that can be printed or e-mailed to the recipient on Christmas Day. Pretty much every shop on the high street has some form of gift voucher. This year however, Oasis has stepped up their game with a mobile gift voucher. Simply pay online, and they’ll send your recipient the voucher over text message, which they can use in any store. You can also choose when you want the text to be sent. A great very last minute gift if there’s anyone you’ve forgotten!